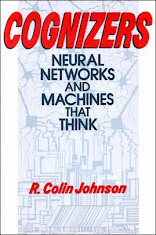 #ALGORITHMS: "Social Media Conquering Ebooks"
Annotating ebooks--that is sharing notes in the margins with other readers of the same book--is poised to be the next ubiquitous use of social media. Social media in the form of ubiquitous user-generated product reviews, where people who have bought and used a product previously can alert new buyers to their experiences with the product, are something that in pre-Internet days had to be obtained from a publication like "Consumer Reports. " Now, it looks like the next ubiquitous social media success will be the ability to share notes in the margins with other ebook readers. These clickable threads alongside highlighted text in any ebook could become the next big win for social media. And some see the messages as being especially useful for young readers, including students who want to share their notes with their classmates. 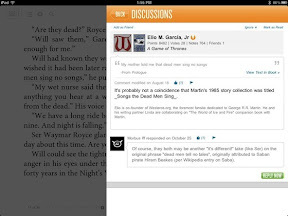 In this popular novel, "The Game of Thrones" by George R. R. Martin, a highlighted passage (left) reads "dead men sing no songs" to which Garcia (top right) recounts a similar passage "songs the dead men sing" and Morbus (bottom right) adds "dead men tell no tales." Students have long had to get together in libraries or dorm rooms to share their notes and questions about specific reading assignments. With ebooks-based textbooks, students will see icons in the margins from their classmates as they read an assignment. When clicked, these icons reveal threaded comments from the other students, the teacher and anyone else who has read the ebook. Even in novels, icons can be left by other readers--hopefully not giving away the plot. Readers who add margin notes in books can also add links to relevant Websites, online reports, discussion groups, audio, photos and videos. The threaded comment format makes it easy for readers to trace the train of thought of comments and insert their own at just the right spots. The brainchild of social networking for ebooks was Subtext Media Inc., which recently raised $3 million from investors led by Google Ventures. Subtext Media plans to allow user-generated commentaries to be shared across platforms. "We want to help everyone get more out of--and put more into--their books," said Andrew Goldman, CEO of Subtext. "Our goal is nothing less than to transform the way people read." Subtext recently released its first iPad application and 18 demonstration books in the Apple Store with margin comments already inserted by the books’ authors, giving behind-the-scenes facts and revealing secrets about the writing of their books. Subtext also announced that it had struck a deal with Google Books to integrate its social media with all the books in the Google eBookstore. #ALGORITHMS: "SmartCamp Picks Winning Ideas"
The smartest new startups will be announced this week at the IBM SmartCamp 2012. The three-day event will see entrepreneurs, venture capitalists and business leaders gather to pick a winner in the program’s competition to help build a Smarter Planet. The world's smartest startups will be hawking their ideas this week at IBM's SmartCamp 2012 in San Francisco. IBM has major investments in funds sponsored by mainstream venture capitalists, and acquires up to 20 companies per year, but it does not directly invest in startups. Instead, it sponsors a yearly SmartCamp, where budding entrepreneurs describe their farsighted new ideas in hopes of being crowned one of the smartest startups on the planet. IBM's SmartCamp gathers applicants from around the world to compete in the world finals. Now in its third year, IBM's SmartCamp specializes in uncovering companies that have smarter ideas about instilling intelligence into everyday items like clothing, household appliances, office buildings, farms, waterways, power grids, automobiles and more. As a result, "we discovered how infectious the passion of entrepreneurs is--how exciting it is to be surrounded by individuals who believe they can change the world," Martin Kelly, a partner in IBM's Venture Capital Group, said in a recent blog posting. "We were amazed at how some of the best and most experienced investors and mentors were willing to give up their time to be part of this for nothing material in return." Since its inception, the IBM SmartCamp has attracted partners and what it calls "mentors" in cities around the world, including Austin, Texas; Boston; Barcelona; Bangalore; Istanbul; London; New York; Rio; Silicon Valley; Stockholm; Shanghai and Tel Aviv. In San Francisco, the IBM SmartCamp will be holding its second annual "world finals," where a select group of leading startups will be pitching their smart new ideas, to be judged by an international panel of experts. The winner will be picked Thursday. No cash awards will be granted, but the recognition given to these startups is sure to increase their ability to secure venture capital funding. For instance, the winners at last year's SmartCamp have received more than $40 million in independent funding, and one, Streetline, has now become a global IBM partner for its smart automobile system that alerts drivers on their smartphones as to where parking spots are available in busy urban areas. Streetline, and most of the startups chosen at IBM's SmartCamp, combine networked sensors with cloud analytics to enable smarter solutions to global problems. 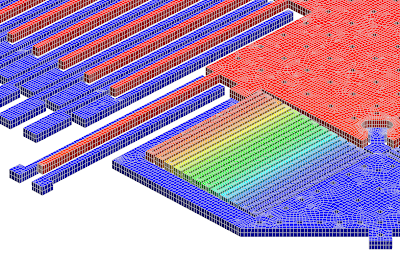 With the market for micro-electro-mechanical system (MEMS) chips growing at a 50 percent annual growth rate, according to Goldman Sachs (New York), electronic design automation (EDA) tool vendor Coventor Inc. (Cary, N.C.) aims to speed-up the MEMS chip design process by adding scripted automation and by dramatically expanding the size of the devices it can simulate. 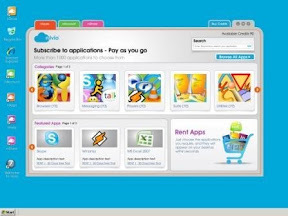 #CLOUD: "Rent a Virtual PC in the Cloud"
Your next PC may be in the cloud, where free storage and rentable apps allows anyone to sync their Windows desktop with an iOS device such as an iPad, an Android tablet, a laptop and a desktop computer, whether its Windows, Linux or even a Mac. 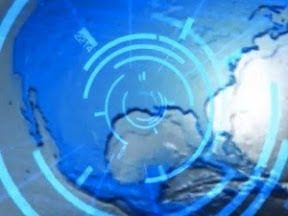 Virtualization allows cloud servers to execute Windows applications remotely from any iOS, Android, Mac, Windows or Linux device, including iPads, Android tablets, laptops and desktop computers. And by renting apps by the month--only paying during months you use them--all your software and storage can be constantly up-to-date in the cloud at a fraction of the cost of owning your own PC. Or so the story goes. "We believe that 2012 will begin the era of the cloud for ordinary Windows users," said Nivio co-founder Sachin Dev Duggal. "Whether you're on your desktop PC, laptop, Android tablet or an iOS device like the iPad, you will be synched to the same cloud-based Windows desktop." Desktop virtualization is already being offered as cloud-based infrastructure as a service (IaaS), such as when using Norton Ghost, Citrix XenDesktop or VMware's View. In fact, the enterprise market for desktop virtualization is predicted to top $5 billion by 2016. The consumer market, on the other hand, includes all the private citizens out there running Windows on a PC but wishing they could just carry a tablet. Nivio's virtual Windows desktop called your nDesktop offers thousands of Windows applications in its App-Store (center) which you can rent for a few dollars per month, paying only during months that you use them. Nivio (Le Mont-sur-Lausanne, Switzerland) is aiming for that consumer market with its just-announced, cloud-based, virtual-Windows service at, of all places, this week's MacWorld/iWorld 2012. By installing the new Nivio app on an iPad, a virtual mouse can navigate a cloud-based Windows desktop. And if you decide to switch to an Android tablet, netbook, laptop or desktop PC running Linux, Windows or MacOS, you just select the appropriate app, sign in with your username and password, and your new device will be synced. 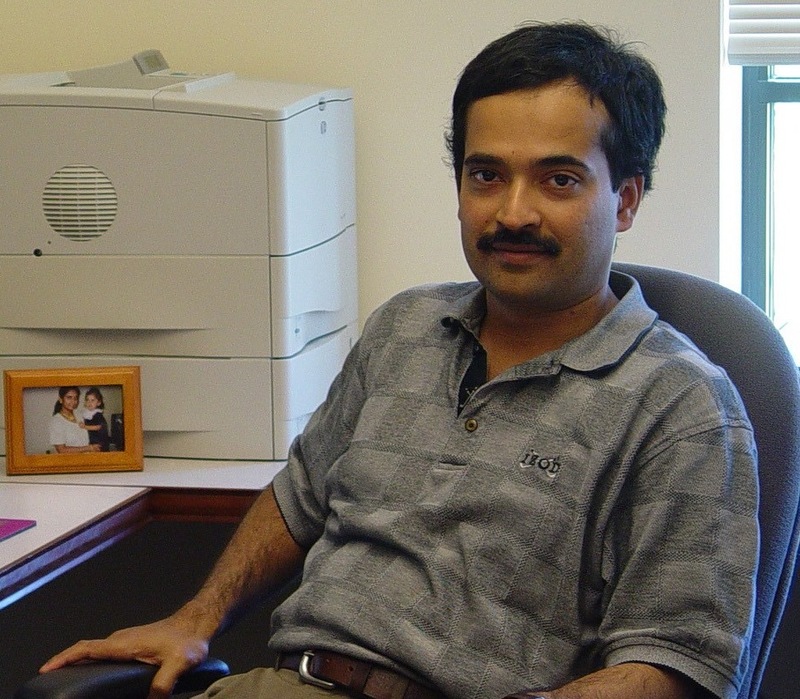 "We envision people migrating to our cloud-based Windows desktops for the convenience of using their favorite device, and because they don't want the hassle with installing and keeping a PC up-to-date, and because it is just more economical to rent Windows applications when you need them, rather than purchasing them," said Duggal. "We are offering Windows 7 desktops now, but we are already working on Windows 8 compatibility, because we think people will opt for the convenience of running it on their iOS or Android tablet." Nivio is free for 30 days, including 10GB of storage on a personal nDrive, after which maintaining an nDesktop in the clouds costs from $5 to $15 a month (plus a small surcharge for whichever applications you might have used during any given month). The Windows desktop is synced across any three devices as part of the basic package, and alteration of a file on one device takes only about 30 seconds to sync with all your other devices. Users can also access their Windows nDesktop from an HTML5 browser, such as Google Chrome. Sharing an nDesktop is done with a custom URL. Nivio runs on Rackspace and Wyse cloud servers located in the United States, Switzerland, India and Australia. The service is available for preregistration and will go live worldwide on Feb. 14th. #MARKETS: "Business Ethics Takes Center Stage"
Unlike the popular image of corporations as unfeeling centers of greed that exploit workers to enrich their CEOs, leading academic and industry organizations counter that the most successful enterprises are those that enforce strict ethical principles. Corporate business ethics might sound like a contradiction in terms to the "Occupy Wall Street" mavens, but the Business Ethics Alliance maintains that abuses are an aberration and that in reality corporate success in integrally tied to good ethics practices. This week the Business Ethics Alliance will drive home its point with an “Ethics of Hiring” panel discussion called "The Dialogue" which will be hosted at Gallup headquarters in Omaha, Neb. Open to the business public today, an RSVP is required for attendance. The panel discussion on the ethical issues of hiring new employees will include Tawanna Black, CEO, Innovations by Design; David Brown, president and CEO, Greater Omaha Chamber of Commerce; and Dean Hodges, owner of Jimmy Johns restaurants. The Dialogue is sponsored in partnership with Gallup Poll and the Better Business Bureau. 1) How is the hiring process informed by our values? 2) Do ethics come into play when small, medium and large firms make hiring decisions? 3) Should employers consider extraneous status values such as a person’s veteran status or sexual orientation? 4) Is it ethical to avoid hiring people who lost their jobs or those out of work for more than a year? In its sixth year, The Dialogue is just one series of many ethics programs offered by the Business Ethics Alliance. The event is aimed at "increasing awareness of the links between ethics and business performance," said Creighton University business professor Beverly Kracher, executive director of the Business Ethics Alliance. "When companies are led by and managed according to sound, practical business ethics - they grow faster, more sustainably and more profitably," said Todd Johnson, practice leader of Job Creation at Gallup. Also this week, the University of Virginia Darden School of Business was ranked as No. 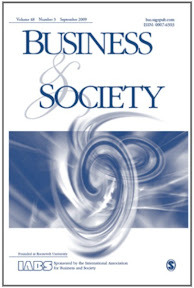 1 in business ethics education by Business and Society, the official journal of the International Association for Business and Society. The designation was the result of a survey administered to 320 business ethics scholars that included members of the European Academy of Business in Society, the Society for Business Ethics, the European Business Ethics Network, the Social Issues in Management Division of the Academy of Management, and the International Association for Business and Society. The University of Virginia Darden received 57 votes, but the University of Pennsylvania’s Wharton School of Business received 56 votes--a statistical tie. The next highest vote total was 24, received by Harvard University. "The knowledge that Darden and the Institute are creating around key issues…are critical to the success of their businesses in creating long-term, sustainable value," said Dean Krehmeyer, executive director of the Business Roundtable Institute for Corporate Ethics. Housed at the Darden School of Business is the Business Roundtable Institute for Corporate Ethics, which is an association of CEOs from leading U.S. companies with more than $6 trillion in revenues and more than 14 million employees. #ENERGY: "Freescale, Inside Secure team on smart-meter reference design"
Smart meters promise to sweep away energy inefficiencies by allowing users to monitor, control and optimize their energy usage remotely. Unfortunately, those virtues come at the expense of reduced security, leaving open hacker backdoors that enable snooping, fraud and criminal tampering with safety systems. 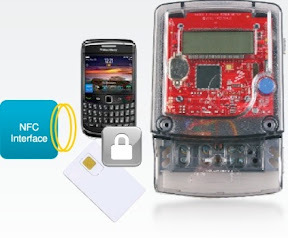 To remedy these concerns, Freescale Semiconductor Inc. (Austin, Texas) partnered with Inside Secure (Aix-en-Provence, France) in a smart-meter reference design that cure these security ills with near field communication (NFC) technology that has already been proven in the banking industry. #ALGORITHMS: "Science Ed Crafting Multiplayer Games"
"If you can't beat them, join them" is the mantra at MIT, where a massive multiplayer online game is slated to teach science, technology, engineering and mathematics (STEM). A $3 million grant from the Bill & Melinda Gates Foundation is funding MIT's first massively multiplayer online game--a three-year effort with the goal of attracting 10,000 students whose avatars interact during the game. Gaming is usually a distraction from education, soaking up hours of a student's time each day that could have been spent studying. Massively multiplayer online games (MMOGs) are the biggest time-sink of the genre, since players become immersed in a fantasy world where only their skills matter, unlike the real world where status often overrules skill. But as the old saying goes: If you can't beat them, join them. MIT's Education Arcade has developed a number of games that try to lure students away from time-wasting alternatives. But it has not yet attempted so vast an undertaking as crafting the virtual world of a massively multiplayer online game. "We have worked on Web delivered and mobile games and a large collaborative alternate reality game recently," said MIT professor Eric Klopfer, director of the Education Arcade. "But this is the first MMOG that the Education Arcade has worked on." Filament Games is working with MIT to design this massively multiplayer online educational game. Klopfer claims that massively multiplayer online games are a good fit for higher education because knowledge is often built collaboratively in both science and MMOGs. In both arenas, participants often must work on teams. "Much scientific discovery and engineering includes working together on teams with diverse skills," said Klopfer. He noted that this is something that students often don't get to experience, so there was a desire to model that experience in some way. According to Klopfer, developers of commercial MMOGs have already shown that the best players use a technique akin to the "scientific method" where hypotheses are conceived, then debated, modeled and tested in collaboration with other players. Thus the same type of forums where players debate the best way to solve "Dungeons & Dragons" riddles can be enlisted to simulate scientists, engineers and technologists working together on multidisciplinary STEM problems. "I must admit that I was skeptical about MMOGs for a number of years until I started playing," Klopfer said. "The community, pace of the games and sense of exploration that you get fits well with a world of building STEM knowledge." The game, which is being developed in collaboration with Filament Games, will allow players to assume the roles of specialists in various fields. For instance, to teach biology, students might assume the roles of ecologist, geneticist and molecular biologist, who must work together to solve a question chain about Mendelian genetics. The players progress through the question chain by accomplishing tasks. For instance, the ecologist might collect samples, which the geneticist then needs to breed and the molecular biologist evaluates. "Similarly, scaling a tower may involve calculating the height of that tower to get the right amount of rope. This in turn involves calculations based on similar triangles and the Pythagorean Theorem; all of which is done in the game through tasks," Klopfer said. The students will be judged on how much progress they make getting through the question chains, with teachers getting daily feedback reports that pinpoint where particular students are struggling. The MMOG will conform to the Next Generation Science Standards, as well as the Common Core Standards in mathematics. #MEMS: "Smart Sensors Conquering Sports"
Micro-electro-mechanical systems (MEMS) in sports, health and fitness have already modernized the pedometer with wearable accelerometers which wirelessly link with smartphones apps for sports training, rehabilitation, calorie-counting, and other health and fitness programs. Now, second-generation pedometers are being introduced, including models that add gyroscopes to detect rotation, MEMS pressure sensors to track elevation, heart-rate, and to enable more accurate analytics that reflect how hard an athlete is exercising and whether they are working against gravity (going up hills) or with it (down hills). 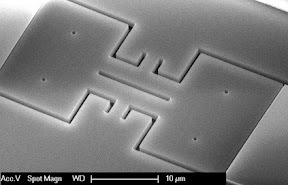 #WIRELESS: "WiFi Putting Everything on the Internet"
Cheap, tiny WiFi on-a-chip modules can now make any electronic device smarter by giving it an IP address. The phrase the "Internet of Things" was coined a decade ago to advance the concept that just as everything in the world has a physical location that can be shown on a map, everything could also be given an IP addresses in order to map it in cyber-space. The idea has been advanced by all the smart devices communicating today in cyber-space--from computers to smartphones to IP-enabled surveillance cameras. The phrase the "Internet of Things" was coined a decade ago to advance the concept that just as everything in the world has a physical location that can be shown on a map, everything could also be given an IP addresses in order to map it in cyber-space. The idea has been advanced by all the smart devices communicating today in cyber-space--from computers to smartphones to IP-enabled surveillance cameras. WiFi microchips abound, but most of the "things" in the world of electronics are too simple to use them: household appliances, fitness equipment, smoke alarms, motion-sensors, thermostats and thousands of other essential devices do not have the processing capabilities necessary to manage IP addresses and join the "Internet of Things." Of course, anything can be made "smart" by adding a high-end radio-frequency (RF) communications processor, but that sharply increases the price of the most inexpensive devices. It also sharply increases the size of the smallest devices. 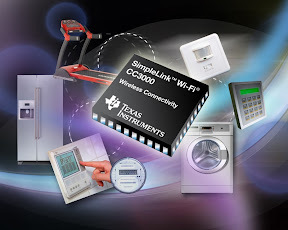 Now Texas Instruments is aiming to make the humblest of our electronic devices smart by offering complete RF modules costing just a few dollars and measuring only a half-inch square and a tenth-of-an-inch thick. Using the new TI SimpleLink family of RF modules, now almost any device can afford to get smart and join the Internet of Things. TI has crammed all the necessary RF components onto a single chip, making even the humblest electronic devices smarter by giving them an IP address. "The biggest obstacle for TI was reducing the software burden placed on the device," said Matt Kurtz, platform marketing manager for TI’s wireless connectivity business unit. "TI already had the expertise to make very low-power RF chips, but we took an extra six months to develop the software that makes our SimpleLink chips work with nearly any processor." The application processors in most WiFi-enabled devices today were chosen specifically so that they could support the complex Transmission Control Protocol/Internet Protocol (TCP/IP) software stack that enables secure communications over the Internet. However, many of the simple electronic devices we use today are so inexpensive because they use less expensive processors called micro controllers. "When electronic device makers used to ask us about adding WiFi, our first response was to tell them they would need to upgrade their micro-controller to handle the necessary software and security stacks," said Kurtz. "However, we came to realize that was the wrong answer.” This led to the development of the SimpleLink family. The first application of the TI WiFi-on-a-chip was made by TI customer The Crow Group, which was able to retrofit a SimpleLink module into its home security control panel with just two weeks of effort. Other efforts with LS Research and Murata, which are taking TI's WiFi on-a-chip and packaging it in a FCC-certified module, demonstrate how any electronics maker can now afford to upgrade its devices so that they can join the Internet of Things. #CLOUD: "Cloud Server Market Exploding"
Cloud servers are on track to become the fastest-growing and most important segment of the server market by 2015. Cloud server sales will double in 2012, compared to 2010, and will double again by 2015, as a result of the stellar success of cloud-based consumer services from Apple, Amazon, Google and other industry powerhouses. Cloud servers, which supply services to smartphones, tablets, laptops and desktop computers, are on track to become the most important segment of the server market, according to IHS iSuppli, which predicts that cloud server shipments will reach 875,000 units in 2012, up 35 percent from 647,000 in 2011, and nearly double the 460,000 cloud servers sold in 2010. Consumer services such as Apple iCloud and the exploding diversity of software-, platform- and infrastructure-as-a-service business models, are driving a skyrocketing demand for cloud servers. Over the next three years, growth rates will be between 23 percent and 30 percent, ultimately doubling the consumption of cloud servers over 2012 to more than 1,774,000 units by 2015, according to iSuppli. This will make cloud servers the fastest-growing segment of the server industry. Overall, the five-year compound annual growth rate for cloud servers is destined to become five-times greater than the server market as a whole, more than 30 percent compared to 6 percent. And while total shipments of cloud servers were just 5 percent of the total server market in 2010, it will grow to more than 15 percent by 2015. "The cloud can be deployed as software, platform or infrastructure to help keep information technology costs down," said Peter Lin, senior analyst and author of IHS iSuppli's Compute Platforms report. "Benefits are many, including higher utilization of server devices, low capital expenditure for clients, high scalability and access to the service across multiple devices." Cloud servers are constructed and configured differently from ordinary servers, according to IHS iSuppli. Providers value ease-of-maintenance, expandability and reliability over performance. The physical footprint is also a key ingredient, with cloud servers typically using a single, highly condensed rack-optimized blade form-factor with a single motherboard to incorporate the processors, memory and network interface. Also key to cloud servers is easy upgradability, higher energy efficiency and low cost. Additionally, cloud servers are increasingly being supplied by original design manufacturers (such as Quanta Computer) which customize the architecture and manufacturing details for each customer. And on the horizon are white-box server-direct makers that could eventually displace original equipment manufacturers (OEMs), original design manufacturers (ODMs) and value-added resellers (VARs) alike. #MEMS: "Smart Sensors Compare Pro/Am Athletes"
Shrinking sensor technologies and smart analytics are enabling tiny motion trackers to be sewn into athletes’ suits, providing detailed data collection and real-time comparisons to famous, record-setting performances. Custom motion tracking suits are already being worn by famous actors, enabling their motions to control the action of computer-animated characters. This was done in the recent 20th Century Fox's X-Men: First Class movie where actors worked in suits built by Xsens Technologies BV to rehearse complex scenes and instantly review the corresponding performance of animated characters in real-time. With the manufacturing prices of motion sensors plummeting, thanks to their wide-scale deployment in billions of smartphones, less expensive sensor suits are beginning to appear to enable ordinary athletes to use them to record and review their performance while running or playing tennis, golf, volleyball, baseball, football or any other game requiring precise motions. The athlete's suit has tiny iNEMO (iNErtial MOdule) sensors from STMicroelectronics sewn onto each arm, forearm, thigh, calf and two on the back of the suit with optional modules mounted with straps onto hands, feet or head. These inertial measurement units (IMUs) harness micro-electro-mechanical system (MEMS) sensors to downsize what used to be shoe-boxed sized devices full of spinning gyroscopes down to a solid-state device measured in millimeters. Even so, IMUs with enough precision for tracking the detailed motions of people in real-time still cost about $500 each, making the sensor-studded motion-capture suits worn by actors like Robert Downey Jr. in Iron Man too expensive for most amateurs. However, by switching to consumer-grade MEMS sensors, and marrying them to smart software whose algorithms compensate for the inexpensive sensors' relatively inaccurate measurements, new less-expensive suits could soon become cheap enough for anyone. Eventually, these inexpensive personal motion tracking systems could be used for augmented sports-realities, where amateur athletes can perform alongside "virtual" professionals to compare and improve their results. At this week’s Consumer Electronics Show, STMicroelectronics (Geneva), a $10 billion global semiconductor supplier and the leading manufacturer of MEMS sensors for mobile and consumer applications, according to IHS iSuppli's Consumer and Mobile MEMS Market Tracker, announced a smart performance-suit prototype that uses its tiny 13-by-13-by-2 millimeter IMUs which it dubs iNEMOs (iNErtial MOdules). Each iNEMO combines inertial sensors (accelerometer/gyroscope/magnetometer) with sensor-fusion analytics running on an integrated 32-bit STM32 micro-controller, which deduces real-time altitude and heading (with a latency of just 15 milliseconds and an accuracy of half-a-degree). Ten iNEMOs were sewn into the fabric of the prototype suite, each of which communicated wirelessly to a nearby computer where on-screen animated characters followed all the motions of the wearer. Eventually augmented reality developers are planning to allow wearers to view historical performances alongside theirs. For instance, long-range runners could literally run in the footsteps of the greats by viewing the ground in front of them on their smartphone where the world's greatest runners could be seen to set the pace around them. ST's iNEMO sensors are also planned for use in sports medicine, for rehabilitation after injuries and for motion-activated gaming experiences. #CLOUD: "Cloud Solves Health Care Problems for the Elderly"
As populations age worldwide, cloud-based health services manage the care of the elderly, whether at home or at assisted-care residential communities. Almost 12 percent of Americans are more than 65 years old, and even higher percentages of the elderly prevail in countries like Japan, South Korea and the United Kingdom. To improve the quality of life for elderly persons living at home and in assisted-living residential centers, cloud-computing services are taking over the management of their complicated treatment regimes with fun-to-use dashboards that encourage the elderly to lead active, socially connected lives. Elderly patients can enjoy an active healthful life using cloud-based dashboards that remind them to take their meds, keep their appointments, periodically measure their metabolic rates, and interact with their caregivers and loved ones. At the Digital Health Summit at this week’s Consumer Electronics Show, cloud-based services were demonstrated that serve our rapidly aging populations with dashboard apps running on PCs, tablets, smartphones and, for the first time, on the professional televisions already installed in assisted-care centers worldwide. In particular, at CES 2012, Independa announced its integrated CloudCare Solutions would be extending its healthful dashboard apps to smart TVs made by Zenith (owned by LG) to provide the industry's first suite of TV-based eldercare cloud services. Based on Independa's Angela cloud-based dashboard app, patients can now access their daily health advisory information from their iPhone, iPad, or Zenith/LG's Pro:Centric commercial televisions (the same TVs that serve up movies and local information to hotel guests), which are already installed in many senior residential centers nationwide. Angela reminds patients when to take their meds, when to do their physical exercises, when to take their blood pressure or measure their glucose levels, and so forth. Plus the dashboard reminds patients of medical appointments, lets them have video conferences with care givers, and encourages them to lead an active life with games, photo-sharing services and social-media access for keeping in touch with loved ones. The simple icon-based user-interface requires no prior computer knowledge to conduct video calls, share photos and access email--all of which work without having to perform mouse-based operations like pulling-down menus or navigating file systems. Angela is one dimension of Independa’s CloudCare platform that also supports comprehensive social-engagement benefits, the activities of daily living, and wireless health/safety monitoring. For instance, CloudCare's Artemis app allows installed sensors to monitor home conditions, personal activity, and vital signs, including heart rate, blood pressure, pulse oximetrics, glucose level, weight and body temperature. Also, a wearable panic button can automatically detect and report falls even if the patent is unconscious. Elderly patients can maintain their accounts with Independa as they move from their residence to a retirement community, then later to an assisted-living facility, all the while using the same dashboard interface to all of Independa's integrated CloudCare services. #ALGORITHMS: "Business Process Management Boosts the Bottom Line"
Business process management software combined with services-oriented architecture (SOA) infrastructure applications are gaining traction at major enterprises worldwide. Efficient management of business processes boosts efficiency, reduces costs and uncovers new ways to grow businesses. Business process management (BPM) software realigns all aspects of an enterprise towards meeting the needs and wants of its clients. By promoting efficiency at all levels, combined with innovations, flexibility and integration of operations with the latest technologies, BPM today is behind the success of the world's most successful enterprises. At the upcoming Gartner Business Process Management Summit (April 25-27, Baltimore, Md. ), market analysts will detail the gains in business process management software in 2011, after reporting a 10 percent gain in the previous year. One reason for BPM's recent boost can be traced to reports last year, from the Tech CEO Council, that business process waste in Fortune 500 companies topped $480 billion per year. The public sector lost even more, $1.3 trillion, according to the McKinsey & Company Government Reform Report. Externalized BPM layer and package solutions provide the software building blocks to enable agile applications and business processes. Many vendors are serving the BPM market, including Pegasystems, TIBCO Software and IBM. Pegasystems' software is a specialized BPM-only solution similar to other offerings as a so-called "pure play" software vendor. TIBCO Software also has a Java-based application using its proprietary ActiveMatrix platform that integrates BPM with services oriented architecture (SOA) infrastructures. IBM's Business Process Management suite, as well, has been one of the prime movers behind SOA integration with BPM since its inception. According to the market research firm WinterGreen Research, integrated SOA and BPM offerings can boost all three areas identified as crucial to business success. These areas are the use of analytics to gain needed intelligence, changing internal business processes to take advantage of that intelligence, and optimizing infrastructure to deliver the new processes and services in the most efficient manner possible. 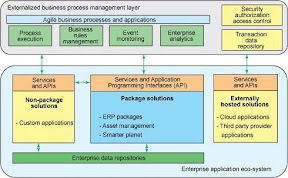 IBM's Business Process Management suite (based on its WebSphere) is also connected with a dedicated BPM Services practice that enables IBM's consultants in its Global Business Solutions and Software to share their successful methodologies with new BPM users. IBM's combined BPM software and services are based on its Method for Business Process Optimization that offers "starter kits" already preassembled for the banking, health care and telecommunications industries, today, with more "industry packs" on the way in 2012. Other auxiliary software is also gaining traction when use with BPM, including software-as-a-service (SaaS) suites like IBM's Blueworks Live--which increases visibility into business processes and communication in an enterprise. Also IBM's Business Monitor aims to increase real-time operational visibility with improved analytics and reporting based on Cognos Business Intelligence. Cognos BI, which received an upgrade in 2011, has added features for collaboration, statistical analysis, social networking, "active" reporting and support for mobile devices including Apple's iPhone and iPads, as well as BlackBerry devices, Symbian phones and Windows Mobile devices. 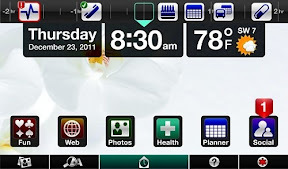 #CLOUD: "Technology Transforming IT in 2012"
Smartphone and tablet mania will transform the IT industry in 2012 by redistributing the wealth among cloud-based services accessed using ubiquitous WiFi and 4G wireless connections. As users shift from desktop PCs and laptops to tablets and smartphones as their main computer, the IT supply chain will shift from stand-alone devices with expandable local memory to lighter mobile platforms that dovetail with novel new cloud services. 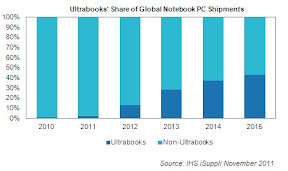 Ultrabooks will capture 43 percent of global notebook PC shipments in 2015, up from 2 percent in 2011 and 13 percent in 2012, according to IHS iSuppli. Manufacturers of semiconductors, storage devices, displays, wireless connectivity and manufactured electronics are scrambling to keep up with the massive shift from desktop and laptop computers to smartphones and tablets, according to IHS iSuppli (El Segundo, Calif.), which predicted 10 major transformations for 2012. 1) Cloud Services to Dominate: Just as Apple seems to have anticipated first the smartphone and then the tablet markets with its iPhone and iPad, respectively, Apple's iCloud seems to have anticipated a mass migration to cloud-based services that enable small mobile devices to outperform traditional desktop and laptop PCs. The devices that bundle the most desirable cloud services will win in 2012, according to IHS iSuppli. 2) Generation Gap Widening: Younger users are already increasingly turning to smartphones and tablets as their main computing device, a trend that IHS iSuppli predicts will expand to older age groups until mobile devices become the predominant method of accessing the Internet. 3) Wireless Business Models Reign: As users increasingly access the Internet from their mobile devices, novel new business models that capitalize on ubiquitous wireless connectivity will emerge. Examples include buying devices that offer their favorite sports live, rather than on TV, to coupon and other buying services that aggregate savings opportunities. 4) LTE to Mushroom: As buyers clamor for faster connections to their cloud-based services, the 4G wireless standard called Long-Term Evolution (LTE) will finally begin to dominate, according to IHS iSuppli, which predicts that LTE subscribers will grow from 12 million in 2011 to over 60 million by the end of 2012. 5) ODMs Shifting to Clouds, Too: Today, the majority of laptop computers are actually manufactured by contractors called original device manufacturers (ODMs), who in 2012 will begin shifting their business to making tablets and the cloud-based servers to which they connect. 6) Intel Losing to ARM: As users shift to less expensive computing devices like smartphones and tablets—as opposed to desktop and laptop PCs—the x86-based processors made by Intel will increasingly lose ground to cheaper, lower power processors licensed from ARM. In 2012 Windows 8 will accelerate this trend by running on ARM as well as x86. IHS iSuppli predicts that ARM-based PCs will rise from just 3 percent in 2012 to more than 22 percent by 2015. 7) Ultrabook Saves Intel's Bacon: Intel's ultrabook specification was already anticipated by Apple in its line of MacBook Air computers. In 2102, a half-dozen traditional laptop makers turn to making MacBook Air-like ultrabooks running Windows 8, ditching the optical drive, slimming down with flash instead of hard disks and extending the battery life. IHS iSuppli predicts that Intel-based ultrabooks will soar from less from 29 million units in 2012 to over 136 million units by 2015. 8) Memory Shifts to Flash: Most smartphones, tablets and ultrabooks are too small and lightweight for the memory slots necessary for DRAM upgrades. This is depressing sales of memory upgrades. Instead, the devices will gobble up high-performance flash memories both for hard-disk replacement and as caches to speed up disk access. 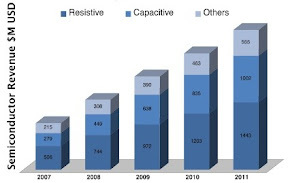 IHS iSuppli predicts that flash-based solid-state drives for cache in ultrabooks will rise from half a million in 2011 to over 22 million in 2012. 9) Hard Disk Drives Shrink to Grow: The hard-disk drive (HDD) market is dangling from a thread regarding the shift to smaller mobile computers. To keep pace, HDDs will have to slim down from 9.5 millimeters in 2011 to 7 millimeters in 2012, and eventually to 5 millimeters in order to stay competitive. 10) Higher-Fidelity but Smaller Screens: Just as Apple anticipated the smartphone, tablet and ultrabook, the company has also anticipated a move to higher-fidelity, but smaller displays, with its Retina display for the iPhone and iPod Touch. #ALGORITHMS: "Smart Homes Redefine Housework as IT"
Smart household robots, appliances, energy managers, entertainment systems and security systems, all communicating device-to-device, are redefining housework as an IT function. This week’s Consumer Electronics Show (CES) in Las Vegas will showcase the home of the future, where housework is being redefined as an IT function. Centered around apps running on smart entertainment systems and smartphones, home owners can now wirelessly control household robots, smart appliances, security systems and energy management systems. "By creating new possibilities for chore management, such as allowing consumers to monitor washing machines through their TVs or smartphones, LG is enabling homeowners to rethink the concept of household chores," said Moon-bum Shin, executive vice president and CEO of LG Electronics Home Appliance Company. At CES, demonstrations abound showing how shoppers can use a smartphone app at the grocery store to see what is on hand in the smart refrigerator at home, how a smart oven can likewise be turned on remotely to have dinner cooked by the time you arrive home, how a smart energy manager can turn on the smart washer and dryer during off-peak hours to save money, and how a smart entertainment system can manage your favorite tunes and television shows to have them available on-demand whether you are at home watching on your flat screen TV or in the subway listening on your smartphone. Device-to-device connectivity is the key to turning housework into an IT function. 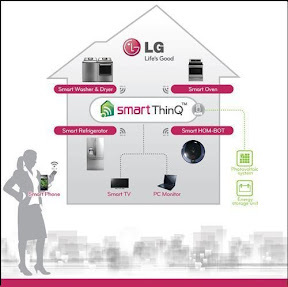 An example of this technology is the upgraded LG Smart ThinQ, which marries LG smart appliances and household robots to the company’s home energy management system (HeMS), smart entertainment systems, PCs, and mobile smartphones. "Smart ThinQ and HeMS provide consumers with a more comfortable and convenient way to manage chores, as well as potentially providing big savings in energy usage on electricity bills," Shin said. LG's smart refrigerator and smart clothes washer received 2012 CES Innovations Awards. Shoppers can use the touch-panel on the company’s smart refrigerator to check its contents without opening the door. The contents can also be checked remotely using a smartphone app. Other Smart Access apps allow users to monitor the status of any household appliance and robots, which are all smart-grid ready. Users can also issue commands to LG’s Hom-Bot to perform housework, such as vacuum the kids rooms before they get home from school. LG will also demonstrate Google TV running on its new ultra-resolution 84-inch organic liquid-crystal flat-panel display, showing images at a resolution of 3840-by-2160 pixels, instead of the quarter-sized 1920-by-1080 displayed by HD TVs. #MEMS: "NXP validates MEMS timing market"
NP Semiconductors NV legitimized the silicon oscillator market by demonstrating a resonator it claims is higher-frequency, lower noise and more stable than conventional MEMS resonators. 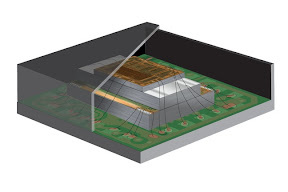 Using a unique micro-cavity structure that can be fabricated on a standard CMOS line, NXP's worldwide manufacturing, distribution and marketing muscle will likely accelerate a mass migration from quartz-crystal-based to MEMS-based oscillators. #MEMS: "MEMS targets mass-market apps"
In a market crowded with dozens of MEMS manufacturers, Kionix has compiled a catalog of targeted designs that has landed it major contracts with smartphone (Motorola Droid Bionic), tablet (Samsung Galaxy Tab), gaming console (Xbox), and other high-volume manufacturers (Asus, Acer, Lenova) while it was still a small single-source startup. Now that it has been acquired by Rohm Co. Ltd. (Kyoto, Japan), Kionix is expanding its targeted design philosophy with multi-sensor combos, fusion software, and a second-sourcing strategy aimed to catapult it into maturing mega-markets. #MEMS: "3D Chip for Inertial Navigation"
By combining an accelerometer, gyroscope and magnetometer in a single 3-D chip stack, Invensense Inc. (Sunnyvale, Calif.) has created the world's first nine-axis inertial navigation unit (INU). Invensense's single-chip INU is for consumer devices from smartphones to touchscreen-tablets to gaming-controllers to wearable motion-tracking modules. #DISPLAYS: "Multi-touch added to resistive touchscreens"
As touch-mania swipes across all markets, many applications look to upgrade to multi-touch but can't afford the high price of capacitive touchscreens. Now automobiles, appliances, medical devices, and low-end smartphones can retrofit multi-touch gestures to existing resistive-touchscreen designs, or create inexpensive alternatives to capacitive touchscreen products, by merely upgrading their controller-chips to Freescale Semiconductor Inc.'s new Ready-Play solution. The new Xtrinsic smart controller provides multi-touch gesture recognition for any standard 4- or 5-wire resistive touchscreen plus handles up to four capacitive touchpads. #OPTICS: "Smarter Cameras Focus After Shooting"
Light-field cameras capture images in all possible focal planes simultaneously, allowing users to refocus them after they have been taken, albeit at the cost of lower resolution. Light-field cameras capture not only light, but also the direction it came from. This permits the user to take the photo first and focus it later. The photographer can also create 3D images from that single shot, using after-the-fact software conversions, which deduce perspective from the distance to objects in a scene. Conventional cameras require that photographers set the focus before shooting, in effect narrowing down the direction from which light rays can impinge on the sensor, resulting in a single plane that is clear. By adjusting the focus ring on a conventional camera, that focal plane can be adjusted from its closest setting all the way out to the horizon. Depending on the depth-of-field for a particular aperture setting, that focal plane can be adjusted to include a wide or narrow swath. A light-field camera, on the other hand, inserts an array of micro-lenses in front of the image sensor, in effect recording the images in all focal planes simultaneously. 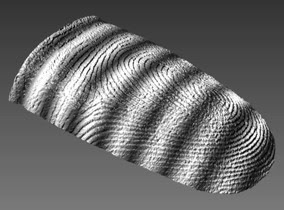 And because software can deduce which parts of an image are in focus, software can, after the fact, create the perspective needed to generate 3D images using a single camera. The first commercial light-field camera comes from Raytrix GmbH. The camera uses about 40,000 micro-lenses to capture images of from 1 to 3 megapixels of resolution depending on the model chosen. Raytrix will also take your existing digital camera and convert it to a light-field camera by building a custom micro-lens array for it. The company's proprietary software then allows users to adjust the focus, or create 3D images, after shooting. Raytrix’s cameras are often customized for a specific application, resulting in price tags of over $10,000, which is reasonable for industrial applications, such as for inspection, and even for high-end security systems where personnel can adjust the focus after shooting to clear up who or what transpired when no one was looking. Next year a new company, Lytro, will be delivering a consumer version of a light-field camera for under $500. The Lytro camera has an 11-megapixel image chip from which software generates square HD images of 1,080 by 1,080 pixels, focused in any plane. The focus-free shooting will be a boon to applications that are stunted today by shutter lag while waiting for auto-focus mechanisms to kick in--such as candid photography. The Lytro light-field camera, on the other hand, has zero shutter lag for an 8X zoom lens at f2.0--fast enough even for sports photography. #MARKETS: "Print/TV Ads Retread for Social Media"
Madison Avenue aims to highjack the social-media craze, retargeting print- and television-advertising campaigns toward viral crowd-sourcing, product placements and guerrilla promotions. The era of "big advertising" is over, with most traditional placements aiming instead to leverage social-media online to create buzz in the real world--from flash mobs to sticker bombs to corporate-sponsored graffiti. Madison Avenue's major advertising campaigns used to include full-page print ads and 30-second TV commercials, but no more, according to Washington University's Olin School of Business. In their place, we will see an increase in corporate-sponsored viral Internet campaigns, crowd-sourcing, product placements, and guerrilla promotions that are predicted to dominate advertising in 2012. Print and TV advertising is on the way out, according to Seethu Seetharaman, a professor of marketing at Olin Business School of Washington University in St. Louis. The main reason, according to WU's marketing expert, is that traditional ads are no longer effective, given the clutter of competing methods of content delivery over the Internet. Contributing to the problem with these traditional ads is the fact that viewers can merely skip over them by turning the page in print, or skip the ads in videos using the fast-forward on their digital recorders. Hangers-on to this type of traditional advertising are choosing new venues with captive audiences, such as ads between movie trailers at the theater and with product placements in the movie itself. Product placements are not new; they date back to the Marx Brothers. However, they are currently experiencing a resurgence that includes nontraditional media--from sitcoms to video games. "One of those few opportunities [for a captive audience] is being stuck in a dark auditorium, consuming entertainment, having no choice of whitening out a brand on screen, or using a video recorder to fast-forward," said Washington University professor Seethu Seetharaman. For advertisers who have already moved beyond traditional commercials, the Internet has become the venue of choice. By hijacking the social-media and crowd-sourcing craze, these nontraditional advertisers are seeking to turn the Internet into a product-promotional jamboree. Take, for instance, BlendTec's popular "Will it Blend?" campaign on YouTube, which was originally designed for TV. By retargeting its splashy "chef" blending iPads and other coveted devices, BlendTec has consistently attracted millions of viewers (over 13 million have viewed the iPad's destruction). By blending social-media with its YouTube videos, an increasing number of traditional television advertisers are enlisting crowd-sourced voyeurs of all persuasions. "Crowd-sourcing is only going to increase," said Seetharaman, who cited Threadless and the Huffington Post as bleeding-edge examples of a future where products will be designed by consumers, voted on by consumers, then produced to their specifications by professionals who then reap the profits. For instance, on Threadless, the t-shirts are designed by anybody with an idea, voted on by visitors to the Website, and the most popular designs are then produced and sold online. Likewise, "The Huffington Post," which was founded as an outlet for commentators frustrated with their lack of exposure on major media sites, but which was subsequently acquired by one of those major media sites (AOL) for over $300 million. "This product-development model has already moved to information markets like 'The Huffington Post,' and is now moving to high-ticket products such as furniture and cars," said Seetharaman. #ALGORITHMS: "App Tracks New Year's Resolutions"
It’s only few days into the new year, and if you’re like most people, you are already struggling to keep your New Year’s resolutions. Need help? There’s an app for that. Procrastinators get a reprieve once a year when New Year's resolutions get reset and their progress since last year gets measured (at least by those who can remember their resolutions from last year). To help you remember your resolutions and to foster incremental improvements (a technique that has been found to help you keep your resolutions) toward fulfilling them throughout the year, a whole genre of applications has appeared. For instance, if you type "tracker" into the Apple App Store search field, you'll find dozens of free programs for tracking specific goals and achievements as diverse as calorie counting, exercising, bad-habit mitigation and even ovulation. 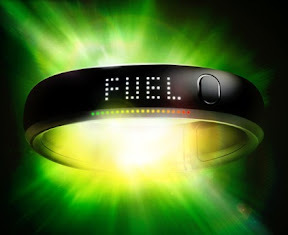 There are also scads of Websites offering free tracking services for all kinds of common goals, such as weight-loss (FitDay.com), as well as ones that allow you to specify your own goals (101-smart-goals.com, JoesGoals.com, 43Things.com and GoalHappy.com). Most of these services make you endure advertisements, but one--meTracker.com--claims to be the first such service with its own iOS application that can set, track and encourage you to keep your resolutions and achieve your life goals year-round, (albeit with a monthly charge of $1 per month, but with no ads). Charts synchronizing issues being tracked can uncover obstacles to success, such as this user with anger-management issues who is also tracking his spouse's daily mood to see if his temper flare-ups and her moods correlate. The meTracker service allows users to define their lives not as they are--like on Facebook--but as they would like them to be. It then helps measure and encourage your progress toward those goals. First, you visit the meTracker Website where you can customize the questions in mini-surveys that you will consequently update every day with the smartphone application. For instance, if you are trying to exercise, it will ask you to specify how much time you spent exercising each day, which can subsequently be charted and matched against other considerations, such as the annual pig-outs during holidays. This approach offers great flexibility to chart progress toward meeting a goal. "Tracking is a proven and recommended tool for keeping people motivated and our site lets users track their own personal goals whatever they are,” said Anthony Philbin, founder and CEO of meTracker. After users set up an account, they can log in to meTracker.com to define their goals and the daily tasks that need to be performed to achieve them. Thereafter, users update their progress daily with quick answers to their questionnaires. The site shows these answers graphically, charting their progress over time. "Our site is about helping people understand themselves and their lives in a more general and long-term way," said Philbin. "But this time of year, meTracker is like having your very own New Year’s resolution machine." #MARKETS: "Social Employees Becoming Brand Stewards"
When employees are trained in how to leverage social-media sites affiliated with an enterprise, they become the new brand stewards by expressing how corporations care about their customers and employees. Forward-thinking companies are leveraging social media by allowing their employees to become brand stewards--who, by making positive postings, can improve perception and promote loyalty. No one is questioning the major impact social media is having on businesses as enterprises increasingly switch to interactive and collaborative platforms for communicating with their employees and customers. One surprise to some, however, is that the employees on the front line of social media are now defining an enterprise’s brand, especially with regard to being a good place to work. 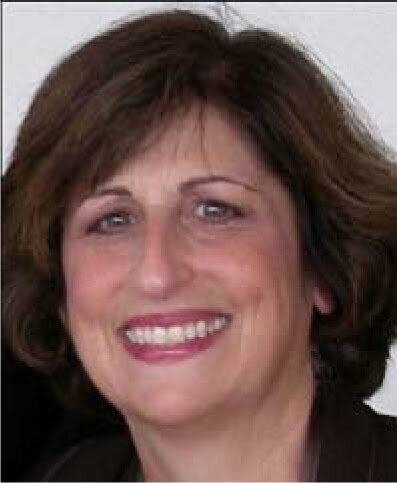 "The relatively new phenomenon of social media is contributing to organizational effectiveness, branding and customer support," said Andrea Goldberg, president and founder of Digital Culture Consulting, LLC (Bedford, N.Y.). Last year, Burson-Marsteller found that in Fortune 100 companies more than 66 percent already used Twitter, 54 percent had a corporate Facebook page and 50 percent had a corporate YouTube channel. And this is only the beginning, since 90 percent of employees with marketing titles reported using social media in campaigns and 73 percent reported planning to increase their social-media efforts in 2012. Employees, in particular, are coming to expect their employers to provide social-media mechanisms, since they already use sites like Facebook and LinkedIn to organize their business-oriented communications. "Employees have the ability and the desire to use these tools to interact with their colleagues, managers and customers, and to accomplish work differently than by traditional methods," said Goldberg. Just as sites like Yelp and Angie’s List allow customers to evaluate vendors, internal LinkedIn, Twitter and Facebook accounts are affecting recruiting, selection, rewards and incentives, as well as helping to define job roles, training and development efforts. At forward-thinking companies that have already been moving up the social-media learning curve, employees’ social-media skills are turning them into the brand stewards of the enterprise, promoting loyalty and support for the enterprise's current employees and defining the company as a good place to work for potential new hires. "They can help position the company as an employer of choice," said Goldberg who also listed as benefits greater transparency, trust, responsibility and innovation. However, just as positive postings by employees boost a brand's perception, negative postings can do the opposite. Enterprises, however, are reducing incidents in which employees post comments that negatively affect the corporate brand by providing internal suggestion systems to which management directly responds, thus providing correction mechanisms that do not require employees to air dirty laundry in public. 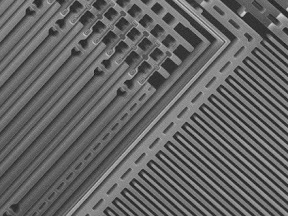 #MEMS: "TI's LightCrafter senses without touching"
The next most promising frontier in emerging ubiquitous MEMS applications, structured light illumination (SLI), is poised to revolutionize metrology applications by removing the need for touch with MEMS that both micro-miniaturizatize and increase the precision of conventional solutions. Being pioneered by Texas Instruments with its million-mirror digital light processors (DLPs), SLI works by projecting moving stripes of light onto objects, then measures the deformity of the reflected patterns using algorithms to reconstruct their 3-D shapes. So far TI's biggest customers are OEMs manufacturing touch-free fingerprint scanners which can identify people without requiring the traditional ink-blotter protocol. Besides revolutionizing biometric-, facial-, dental- and medical-scanning, SLI is also opening whole new frontiers in DLP applications—from industrial inspection systems to scientific instrumentation of all kinds.